Are you talented teacher? Do you love to create your own amazing materials, but sometimes you just run out of time? If that is you, you are not alone. I love creating my own materials, but sometimes I just can’t afford to spend two or three hours in front of the computer creating an assignment. 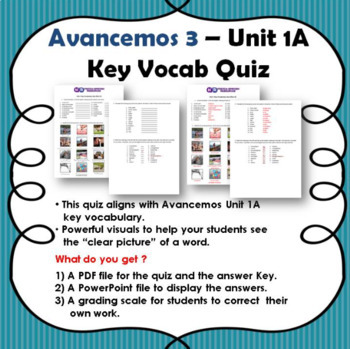 Having said that, this “Avancemos 3- Unit 1A Quiz” will save you precious time you need to concentrate on something else. 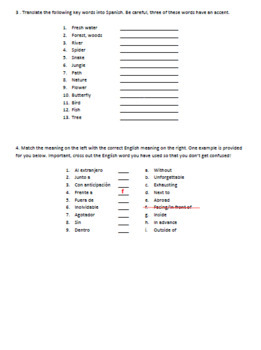 It contains most of the vocabulary students need to master in this unit. 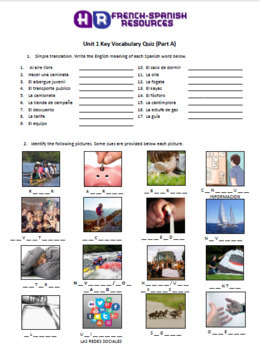 It is has a mix of translation activities from Spanish into English and vice versa and it also has a section of visuals for students to find it a little bit easier to determine the word they are supposed to write. 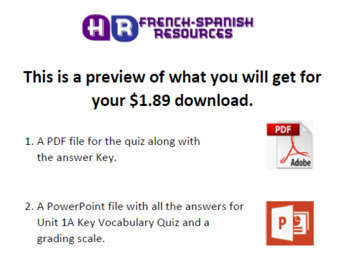 Best of all, your $1.89 purchase come with the answer key and a PowerPoint file so that you can display the answers on the screen and have students correct their own papers. Believe me, this $1.89 investment will save you at least two hours of your precious planning time!